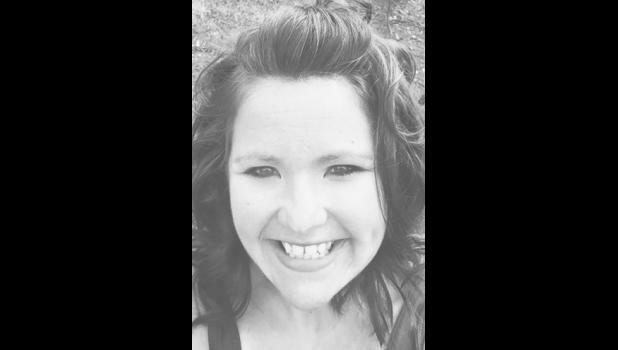 Sharity Rae Kranz, 30, Holton, died Saturday, Nov. 28, 2015, at her home. She was born Nov. 1, 1985, in Horton, the daughter of Larry Lane and Tammy Dawn Strike Kranz. She graduated from Jackson Heights High School in 2004, earned her Certified Nursing As­sistant and Certified Medication Aide certifications from Highland Community College and later re­ceived her Licensed Practical Nurse degree from Washburn University. Ms. Kranz worked as a CNA and CMA for Penn Place and Glenn Moore Meadows, both in Holton. She worked as a LPN for Shawnee County Women’s Correctional Fa­cility and VA Hospital, both in Topeka. She was currently em­ployed with Shawnee County Women’s Correctional Facility. She married Cole Gerhardt. They divorced. Survivors include two sons, Eric David Gerhardt and Logan Lane Glenn Atherly, both of the home; her parents, Larry and Tammy Kranz, Whiting; a brother, Lasten L. Kranz, Whiting; maternal grandmother, Sharon Lewis, Nisswa, Minn.; and many aunts, uncles and cousins. She was pre­ceded in death by her maternal grandfather, Lyle Strike; her pater­nal grandparents, Lloyd and Hilda Kranz; and her fiance, Jeff G. Atherly, in 2012. Funeral services will be held at 1 p.m. Thursday at Mercer Funeral Home in Holton. Burial will follow in Penwell-Gabel Cemetery. Fam­ily will greet friends from 5 p.m. to 7 p.m. Wednesday at the funeral home. Memorial contributions may be made to the Sharity Kranz Memo­rial Fund, to be designated at a later date and sent in care of Mercer Fu­neral Home, P.O. Box 270, Holton, KS 66436.